60 miles (96.5km) with 4587ft (1398m) of climbing, over the South Downs four times and with three feed stops. 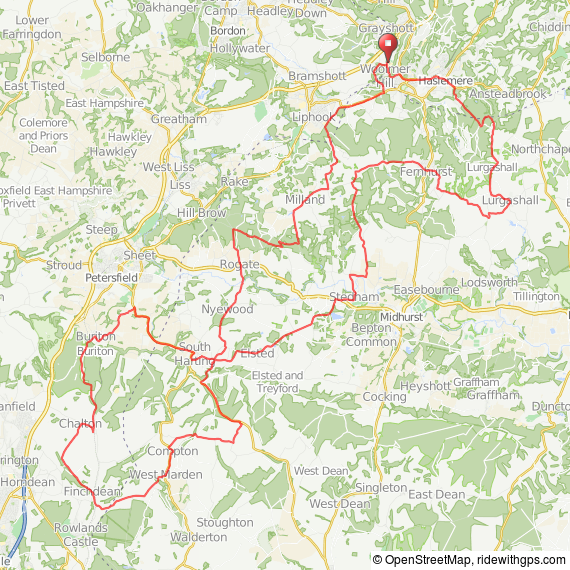 The Challenge follows the same route as the ‘Sport’ to South Harting. There you will encounter your first ascent of the South Downs up the North Face of Harting Down. This year we are sending you back over the Downs three more times before you return towards Haslemere via, Blackdown, the highest point between the Downs before finishing with a last hurrah at Woolmer Hill. You will encounter three food stops in total. Entry Fee: £25 to 31st December, £30 from January 1st - April 30th, £35 May 1st - 19th.